Australia’s prestigious Group of Eight (Go8) universities have remained in the top 200 in the 2019 Times Higher Education World University Rankings, but most have a lower position than last year. The Times ratings are based on 13 performance indicators for the whole university in the categories of teaching, research, citations, international outlook and industry income. University of Melbourne once again claimed the nation’s top ranking, remaining steady at number 32, and University of Sydney went up two places to number 61. But Australian National University (49), University of Queensland (69), Monash University (84), University of NSW (96) and University of Adelaide (135) all dropped between one and 11 places. The biggest drop in rankings for the top universities was for University of WA, which fell from 111 to 134 in the world. On the positive side, University of Technology Sydney (UTS) has entered the top 200 at number 196. Elsewhere in the APAC region, China has claimed the top ranking for universities in Asia, with Tsinghua University gaining eight places to reach number 22 and relegating the National University of Singapore to number 23. In June, Tsinghua University overtook University of Melbourne in the Times Higher Education Asia-Pacific rankings. Australian universities are also falling in the Times rankings for engineering courses. In the 2018 Times World University rankings by subject, released last October, Monash University was the top-ranked university for engineering and technology at number 57, down from 45 in the 2017 list. However, some Australian universities have performed strongly in other international rankings for engineering subjects. In her analysis, Times Higher Education Global Rankings editor Ellie Bothwell warned the national picture in Australia is a “cause for concern” following last year’s funding freeze on Commonwealth contributions to undergraduate courses, which were extended at the 2018-19 budget announcement. “To excel, universities need strong investment. As funding cuts take hold, Australia’s universities could face an uphill struggle in the coming years,” Bothwell said. One category in which Australia is performing well is in the number of international students, staff and research links, with the nation’s top universities now outperforming the UK in this area. In July 2018, overseas enrolments in Australian institutions exceeded 750,000. More than 380,000 of these enrolments were in higher education. The actual number of international students in Australia in July was around 627,000, as students could be enrolled in more than one course. In 2017 education exports contributed almost $30 billion to the national economy. Go8 universities have also performed poorly in the 2019 edition of The Good Universities Guide, which ranks universities according to categories including student retention, starting salary, teaching quality and graduate employment. None of the Go8 universities were in the guide’s top 20 per cent for overall student experience, with smaller institutions such as the University of Notre Dame, Bond University and Edith Cowan University topping the list. 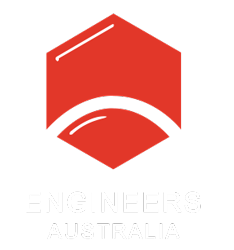 For the proportion of students who were satisfied with the overall quality of engineering and technology courses, Murdoch University was the best performer at 90 per cent satisfaction. It was followed by Charles Sturt University (82.8 per cent), University of Newcastle (82.7 per cent), University of the Sunshine Coast (81.9 per cent), Queensland University of Technology (81.5 per cent) and University of Queensland (79.9 per cent). The top three universities for the percentage of engineering and technology graduates in full-time employment were University of Southern Queensland (94.9 per cent), Charles Darwin University (91.2 per cent) and University of Wollongong (89.1 per cent). These figures were based on students’ employment four months after they finished their course. For engineering starting salaries, University of Southern Queensland was the leader with a median graduate salary of $80,000; followed by CQUniversity with $75,800 and Murdoch University with $71,500. Times Higher Education will release more subject-specific rankings in late November 2018. We’ll report back once that information is available.